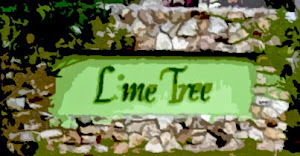 Have some complaints against the illegal homeowners association of Lime Tree Village Community Club Association, Inc.? Florida §806.13 - Criminal Mischief In the association's quest to single out non-members, the association has decided to graffiti the streets in front of every non-member property by spray painting a colored line by the mailbox on public property. This of course is against the law. §806.13 states the following: A person commits the offense of criminal mischief if he or she willfully and maliciously injures or damages by any means any real or personal property belonging to another, including, but not limited to, the placement of graffiti thereon or other acts of vandalism thereto. Each act of graffiti can quite possibly be viewed as a separate incident, meaning the association may have racked up dozens of violations in their quest to shame homeowners into joining. Florida §316.077 - State Uniform Traffic Control: Display of unauthorized signs, signals or markings. In addition to Criminal Mischief, the associations marking of public roadways also violates §316.077, which states the following: No person shall place, maintain or display upon or in view of any highway any unauthorized sign, signal, marking or device which purports to be or is an imitation of or resembles an official traffic control device or railroad sign or signal, or which attempts to direct the movement of traffic, or which hides from view or interferes with the effectiveness of any official traffic control device or any railroad sign or signal. Violating 316.77 is punishable as a nonmoving violation, as provided in Chapter 318. Florida 318.14 - Noncriminal traffic infractions As stated above, the association's graffiti is a noncriminal traffic violation that can be punishable by fines per incident. Florida 784.048 - Harassment Again, in regards to the association's graffiti, because they are specifically targeting non-members month after month, their actions could be considered harassment, which is defined by law meaning "to engage in a course of conduct directed at a specific person which causes substantial emotional distress to that person and serves no legitimate purpose." Because these homeowners are not members to this corporation, the actions by the association serve no purpose and because the nature of their harassment - intimidating non-member properties into joining and paying their corporation money - substantial emotional distress could be imposed on an individual. Their actions may also fall under harassment because since the covenants expired under MRTA and they have no legal authority whatsoever, they have no legitimate reason to pursue a claim against any individual. Florida Statute 712.08 - Filing False Claim This is an important one. Because the Marketable Record Title Act extinguished the covenants and restrictions in 2009 and the association filed a notice of preservation subsequent the expiration, they are in fact filing a false claim. Florida Statute 720.30851 - Estoppel Certificates This is a homeowners association law granting a homeowners association authority to issue estoppel certificates, as well as charge fees for such issuance. The problem is that as mentioned above, the covenants and restrictions have ceased to exist. This means that there is no legal basis for the HOA to insist that a parcel owner has an outstanding debt to the association and would be liable to the corporation in the future and interject themselves into a financial transaction to which they are not party to. Florida 720.3085 - Payment for assessments; lien claims. It has come to my attention that the HOA has threatened the tenants of parcel owners in Lime Tree demanding rent payments be made directly to the HOA. This is illegal in so many different ways. There are no covenants on the property forcing membership, they have not followed the process of filing a lien on the property, and since the HOA was technically not a HOA as defined by law, they lacked the legal authority to file a lien from the start! And they have done all this knowing that there are no covenants on the property giving them the right to do so. Florida Statute 617.0834 - Officers and directors of certain corporations and associations not for profit; immunity from civil liability. Because the HOA's Board of Directors and their attorney have been thuroughly informed of the law, the individual board members may be held personally liable for their actions because of this statute that states the following: (1) An officer or director of a nonprofit organization recognized under s. 501(c)(3) or s. 501(c)(4) or s. 501(c)(6) of the Internal Revenue Code of 1986, as amended, or of an agricultural or a horticultural organization recognized under s. 501(c)(5), of the Internal Revenue Code of 1986, as amended, is not personally liable for monetary damages to any person for any statement, vote, decision, or failure to take an action, regarding organizational management or policy by an officer or director, unless: 3. Recklessness or an act or omission that was committed in bad faith or with malicious purpose or in a manner exhibiting wanton and willful disregard of human rights, safety, or property. (2) For the purposes of this section, the term: (a) “Recklessness” means the acting, or omission to act, in conscious disregard of a risk: 1. Known, or so obvious that it should have been known, to the officer or director; and 2. Known to the officer or director, or so obvious that it should have been known, to be so great as to make it highly probable that harm would follow from such action or omission. Federal Law: Fair Debt Collections Practices Act (FDCPA) §807 - False or misleading representations Because the law offices for the HOA were acting as a debt collector, by ignoring the fact that the covenants and restrictions have expired and that the HOA has lost any legal authority to collect alleged debts, the continued pursuit in debt collection by the HOA's representatives, especially when knowing the governing documents expired, now involves fraudulent and deceptive methods to collect, such as claiming the covenants and restrictions are still intact and that the homeowner has a responsibility to pay. Florida §817.061 - Misleading Solicitation of Payments Prohibited The HOA lacks assessment authority because the covenants expired due to the Marketable Record Title Act. Because the HOA has insisted that money is owed to them and have sent out "invoices," they have acted criminally by soliciting payment intended to mislead homeowners by mailing something that could be reasonably considered an invoice. Federal Law: Mail Fraud - 18 US Code Chapter 63 By mailing deceptive "invoices," using an instrument of interstate commerce, the HOA had violated federal law by using the federal mail in a swindle.